These are exceedingly old and rare cognacs pre-date millisimes/vintages French Government official authentication and can only be guaranteed by the producer and are guaranteed for age , certified and legalized. A exceptional Grand Champagne cognac full of elegance and finesse with a light but pronounced taste of vanilla and a bouquet of pomegranates tinged with violets . One of the finest examples of this year available today , a cognac that will take one to new and unexplored heights of flavour.
' The Wright Brothers first tested the Kitty Hawk Plane, those magnificent men in their flighing machines. Soon to be over 104 years old. Famous for its complexity vanilla and mushrooms with exquisite flavour of tangerine and poppies ;a cognac which will not disappoint and worthy of this year , a must for cognac lovers. The start of the Great War and the Russian Revolution. Soon to be over 90 years old. Recognized as a rare cognac that has achieved a rare and extraordinary balance with light flavours of vanilla , oranges and walnuts. 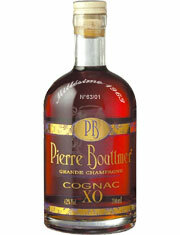 In complete harmony , a cognac with a light heady perfumed experience and that should not be missed. Soon to be over 76 years old. Full of poetry and style in a unique bouquet of vanilla tinges of ginger and cinnamon a very fine quality. The start of the 50's, Korean war and rock and roll and Elvis. Soon to be over 54 years old.